"Try acting like a hero, Winston, and then maybe people will believe that you are one." Cohen Media Group has debuted a new US trailer for one of the other Winston Churchill movies in the works. This one is called simply Churchill, from Australian director Jonathan Teplitzky. Brian Cox stars as Churchill in the film, which examines a narrow frame of time in 1944 around D-Day and the decisions he was burdened with. The cast includes John Slattery, Miranda Richardson, Ella Purnell, James Purefoy, Richard Durden, and Julian Wadham. This is a very powerful trailer, with a number of strikingly bold shots of Churchill. There's great cinematography, a moving score, it seems like this might actually be worth watching when it opens. 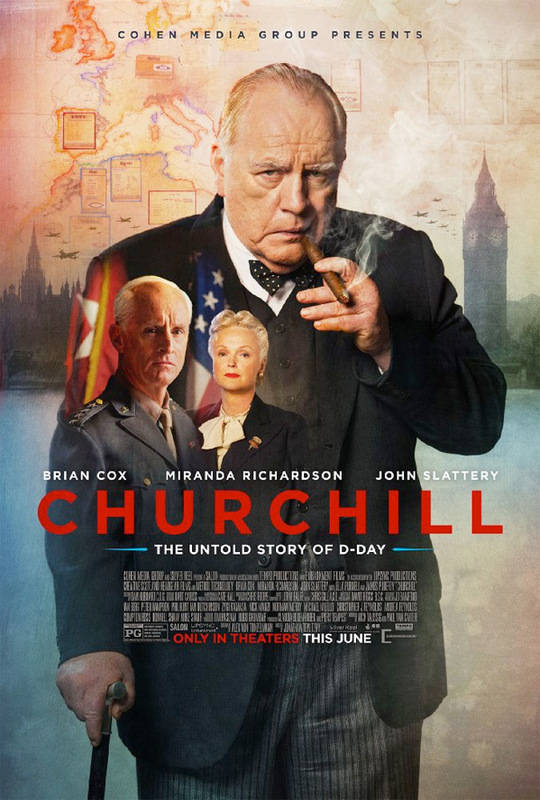 We're not sure when the other Churchill film will arrive, but this one hits theaters this June.